Happy hour daily from 3-6pm including $1 off all draft beers. We politely refuse to split checks for parties of 6 or more. We will be happy to accept multiple payments per check. 20% gratuity included for parties of 6 or more. $5 charge for split plates. We offer a limited weekend brunch with rotating breakfast items. 18% gratuity included for parties of 6 or more. $2 charge for split plates. Capitol Creek Brewery does change/modify menu items from time to time. Thanks for your understanding. 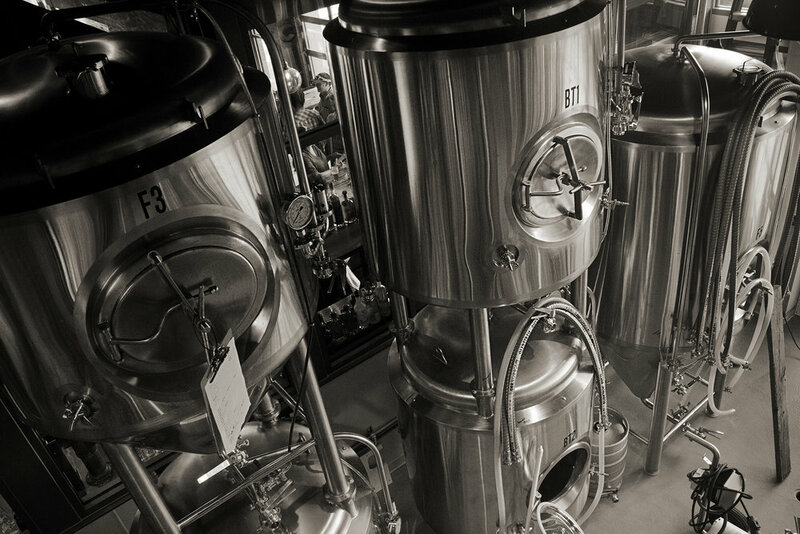 All of our beers are brewed in-house by our brewmaster, Jerod Day. We will keep a variety of beers on tap for every type of beer connoisseur. Keep a lookout for upcoming tappings as we continue to grow our beer selection. Pilsen malt, Vienna hops & Willamette hops create traditional, slightly dry pilsner flavor profile. For this beer we put together roasted malts, lactose, and vanilla. We soaked fresh Madagascar vanilla beans for 1 week then nitrogenated the beer. You will get flavors of chocolate and vanilla with a great smooth mouthfeel. Lots of hops, oats and root shoot malts go into making this beer. Hops are jarrylo, amarillo, ekuanot, triple pearl and lemon drop. All this comes together to give this beer a lemon, citrus note, full body and lemongrass taste..
We started off roasting 100lbs of yams and then put that into the mash. We then added allspice, nutmeg, cinnamon, ginger, and whole vanilla beans at the end of the boil. Then we fermented with Belgian yeast and added more vanilla beans, nutmeg, and cinnamon in the secondary. This beer is a holiday in a glass! Simcoe and 007 Golden Hops give this beer a great passion fruit and berry taste with a nose of orange and tangerine. Simcoe, Mosaic, & Azzaca hops – a malty backbone reduces the perceived bitterness in this contemporary IPA. A mix of caramel and pale chocolate malts give this beer a very approachable, yet robust flavor. This beer is for the dank and malty IPA drinker. Chocolate malt, Chinook hops, and Centennial hops give this beer its unique flavors. It has a chocolate, pine, and just a hint of peach flavor. Classic flavors of clove, bubblegum, and a hint of spice. Sorachi ace and Saab hops round out the great flavors of this beer. A very good traditional style beer. Sign up to receive news on brews, members specials and events! Thanks for signing up for the Capitol Creek Newsletter!